Omate offers wearable and IoT solutions for people who need protection and security. 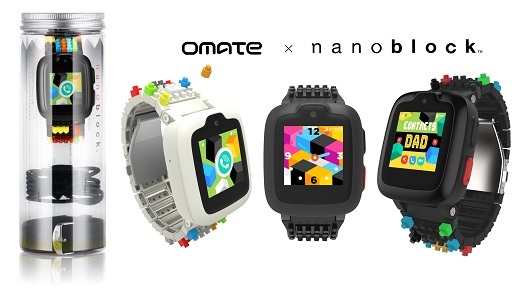 Omate offers full turnkey solutions “Powered by Omate” including hardware modules and software stack allowing companies to design wearable-as-a-service connected through the telecom network. For more information please visit: www.omate.com or contact us at press@omate.com. Like us on Facebook at www.facebook.com/omateofficial or follow us on Twitter and Instagram at @OmateOfficial. Omate products are trademarks of Omate Inc.
© 2018 Tata Communications. All rights reserved. TATA COMMUNICATIONS and TATA are trademarks of Tata Sons Limited in certain countries. Tata Communications MOVE and Tata Communications MOVE – IoT Connect are trademarks of Tata Communications in certain countries. All other trademarks are the property of their respective owners.